The past week saw Kolkata pip Delhi in air pollution with its Air Quality Index (AQI) readings on November 17 at a staggering 330 compared to Delhi’s 283. The monitor at Rabindra Bharati University (RBU) consistently clocked readings over 300. The increasing usage of diesel-powered vehicles is a reason for the high levels of pollution with close to 99% of commercial vehicles using diesel. This is bucking the national trend where diesel vehicles are on the decline. 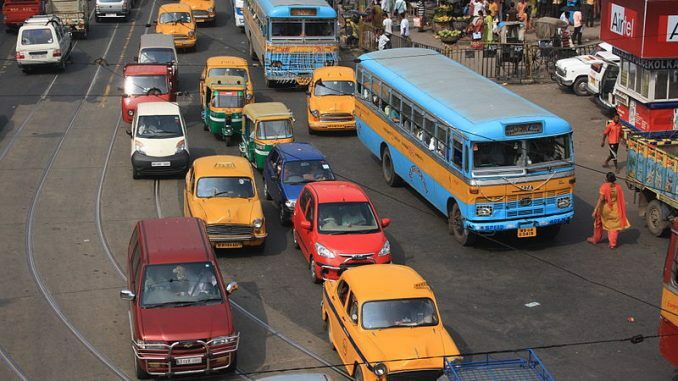 PM 2.5 is the most prominent pollutant in Kolkata according to a recent study by the Centre for Science and Environment. The use of diesel, without any mitigation by the addition of biofuels, is a cause for the high PM2.5 levels. High PM2.5 levels cause a variety of respiratory illnesses and is extremely harmful in the long run from prolonged exposure. The drop in temperature during winters is also a cause for decline in air quality. Over 10,000 farmers undertook a two-day protest march from Thane to Mumbai on November 21st putting forth demands that included loan waiver and greater control of land and water. 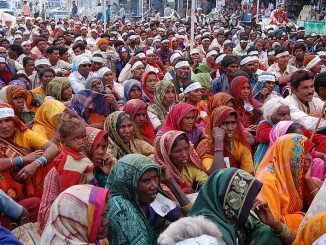 They also called for the protection of the rights of tribals under the Forest Rights Act (FRA) and the raising of minimum support price. Farmers also marched to lobby for an increase in drought compensation. The protesting farmers hail from Thane, Marathwada and Bhusawal region of Maharashtra. The farmers marched towards Azad Maidan on November 22nd after an overnight halt at Sion. 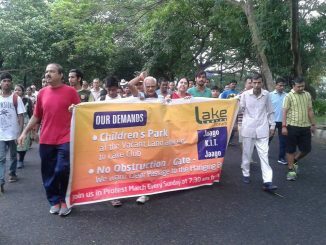 The march was called off after a written assurance from the Maharashtra Government that their demands will be met. Chief Minister Devendra Fadnavis also promised that the forest rights claims of tribal farmers will be settled before the end of the year. As the farmers marched into the city, traffic was hit in parts of Mumbai with the traffic police issuing advisory to residents on the situation along the route of the march. Maharashtra Chief Minister Devendra Fadnavis approved the expansion of the Mumbai Metropolitan Regional Development Authority (MMRDA) on November 21st. The expansion is primarily driven by the expectation of growth in the region owing to the proposed bullet train project between Ahmedabad and Mumbai. The approval of expansion has been sanctioned to include the areas of Palghar taluka and parts of Vasai, Alibaug, Pen, Panvel and Khalapur talukas of Raigad district. This will increase the scope of functioning of the MMRDA as a special planning agency. As part of the expansion two new growth centers will be established in Virar and Boisar to cater to the growing population and development in Navi-Mumbai, Vasai-Virar and Kalyan Dombivali. As Delhi’s air quality ranged between ‘severe’ to ‘very poor’ on the Air Quality Index (AQI) over the past three weeks, a plan to induce artificial rain to mitigate the effects of the high levels of air pollution was under active consideration. Artificial rain was to be induced through cloud seeding, a process which sees the use of chemical agents such as silver iodide, dry ice and salt to thicken the cloud and improve chances of rainfall. These agents are dispersed by the use of an aircraft. Preliminary preparation to induce artificial rain had been put in place with the procurement of an aircraft for the same from ISRO. However, the plan had to be shelved as a result of lack of clouds and also roadblocks in obtaining the necessary DGCA (Directorate General of Civil Aviation) clearances for the ISRO aircraft. The plan could be executed in the coming weeks when there is sufficient cloud cover and the administrative hitches are rectified, according to staff from IIT Kanpur working with the Indian Meteorological Department (IMD) on the project. If carried out, it would mark the first instance of cloud seeding in the country. The decision to attempt to induce artificial rain in the coming weeks will hinge on cloud formation. Prime Minister Narendra Modi laid the foundation for the expansion of the city gas distribution project (CGD) in 65 locations in the ninth round. On completion of the tenth round of bidding over 0% of the country is expected to become part of the vast network spread across 400 districts. The project is part of India’s commitment to clean energy. The coverage is key to the country’s bid to meet target of reducing carbon footprint by 35% from pre 2005 levels. The number of households with piped cooking gas is expected to reach 2 crore after the tenth round of bidding. Currently 32 lakh households use piped cooking gas. The number of CNG stations will also more than double to 10,000. The share of natural gas in India’s energy consumption is a mere 6.2%. The project aims to increase this by provision of gas as fuel for commute and cooking. The distribution network supplies gas from source to doorstep and the CNG stations cater to automobiles. The tenth bid will cover cities Nellore, Mysuru, Gulbarga, Muzaffarpur, Kaithal, Alappuzha, Kollam, Gwalior, Morena, Jhansi, Basti, Firozpur, Hoshiarpur, Ajmer, Jalor, Nainital, Darjeeling and Howrah. A local social network meant to connect people at the neighbourhood level has been rolled out by Google. The app, Neighbourly, will help users find information at the local level with answers crowdsourced from ‘neighbours’. The app was piloted in Mumbai and has been officially rolled out in Delhi and Bengaluru. 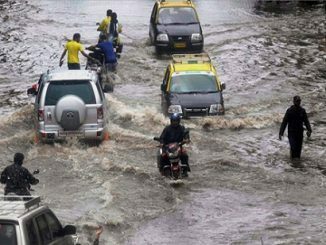 Other cities such as Chennai, Kolkata and Hyderabad are expected to be added in the coming weeks. The app has been tested in Mumbai since May with the trial expanding to six other cities. Google said that the app has been downloaded 1.5 million times and there is a 0.5 million waitlist for users in cities where the app is yet to be launched. The app is available in English and eight other languages including Hindi, Marathi and Gujarati. Some of the cities on the waitlist are Chandigarh, Lucknow, Indore, Pune, Jaipur, Mysuru and Coimbatore. Users have the provision to add both their home and office addresses in the current iteration of the app. Mumbai farmers have gone back, but can our cities afford to forget them? Roses, food and water for protesting farmers are all fine, but the nation’s policy makers and city residents must not forget what led to the rally. Time to realize that without a strong rural Bharat, urban India is doomed.